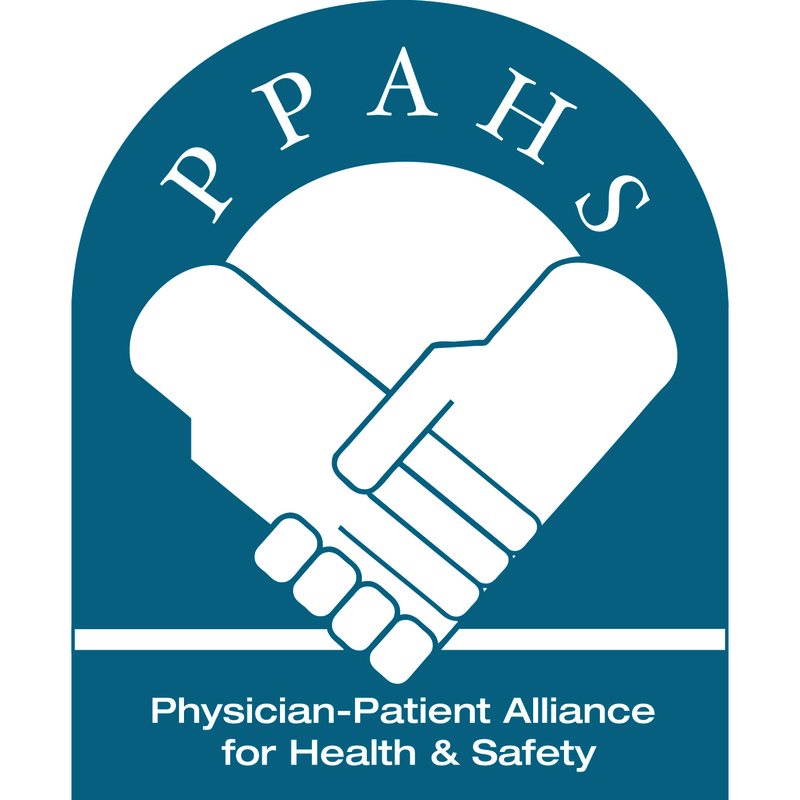 Articles the Physician-Patient Alliance for Health & Safety (PPAHS) have been reading the this past week. Articles we have been reading this past week of April 16, 2018 ask us to reconsider how we think about patient safety. The risk of COPD is nearly double in rural areas compared to that in urban areas, according to CDC’s Weekly Morbidity and Mortality Report. This week in #patientsafety, we highlight again that it is Blood Clot Awareness Month. From around the web, three studies: one on the effect of hospital inspectors on patient safety; one on sepsis; and, one on the relationship between opioid supply levels and long-term use. March is Blood Clot Awareness Month. Blood Clot Awareness Month is a time for us to highlight stories and resources that you can share with colleagues, patients, and loved ones to bring attention to blood clots. When Hospital Inspectors Are Watching, Fewer Patients Die. A study published in JAMA Internal Medicine studied records of Medicare admissions from 2008 to 2012 at 1,984 hospitals and found that in the non-inspection weeks, the average 30-day death rate was 7.21 percent. But during inspections, the rate fell to 7.03 percent. UAB study highlights risks of sepsis. A new study from researchers at the University of Alabama at Birmingham analyzing three different methods for characterizing sepsis has helped to illustrate the risk of death or severe illness attributable to the condition. With a 10-day supply of opioids, 1 in 5 become long-term users. With an initial 10-day opioid prescription, about one-in-five patients become long-term users, according to data published Friday in the Centers for Disease Control and Prevention’s Morbidity and Mortality Weekly Report. We’d like to wish you a safe and healthy 2017. As we prepare for 2017, we reflect back on the top 10 articles from 2016. Physicians on Surgeon General’s Letter on Opioid Epidemic: Survey Results. The Surgeon General issued an Open Letter on the Opioid Epidemic. We looked into how clinicians and other patient safety experts felt about it. The U.S. Opioid Epidemic In Numbers. Related, Advance for Nurses generated an infographic summarizing your responses. 12 Years of Event-Free Opioid Use. In 2016, St. Joseph’s/Candler Health System celebrated 12 years free from Serious Adverse Events related to Opioid-Induced Respiratory Depression since the implementation of its continuous monitoring program. 3 Ways to Make Opioids Safer. Peggy Lange, RT, Director of the Respiratory Care Department at St. Cloud Hospital, discussed the importance of setting alarm thresholds for each patient in this podcast. Drawn Curtains, Muted Alarms, And Diverted Attention Lead To Tragedy In The Postanesthesia Care Unit. Sadly, alarms on the monitoring equipment used to alert healthcare professionals to changes in the patient’s cardiac and respiratory status were muted in one tragic death of a 17-year-old. A New Tool to Predict Respiratory Failure: An Interview with Hiroshi Morimatsu, MD, Ph.D. Could this multi-parameter indicator help counter alarm fatigue? New PPAHS Campaign Targeting Orthopedic Venous Thromboembolism. VTE is the third-most prevalent reason for readmission after surgery, and about 1 million hip and knee replacement surgeries happen each year in the U.S.
Physician-Patient Alliance Partners with World Thrombosis Day. As part of our new campaign, we partnered with World Thrombosis Day in 2016. Looking forward to working together in 2017. Why Bundled Payments for Joint Replacement May Be Risky for Patients. We took a look at whether patients are receiving evidence-based or reimbursement-based care under the Bundled Payments model. Why All Medical Schools Must Incorporate Quality Improvement and Patient Safety into Their Curriculums. This position by Molly Siegel generated plenty of engagement on the Twittersphere and is a theme that cuts across all of our priority areas. This week in #patientsafety, we look at the fact that opioid safety has yet again made the list of the ECRI Institute’s Top 10 Technology Hazards and we look at some key aspects of St. Joseph/Candler’s success in its continuous electronic monitoring program. From around the web, we share a video explaining how opioids cause harm and how their overprescription leads to drugs piling up in cupboards at home. We also share a story of a mother who died from blood clots – the coroner says her death was preventable. Opioid Safety is again an ECRI Top-10 Health Technology Hazards for 2017. This is bittersweet. Bitter, because this problem is a major epidemic that has been going on for too long; sweet, because at least the topic is getting the attention it deserves. Preventing Opioid-Related Adverse Events with Capnography. Continuous electronic monitoring has helped reduce serious adverse events related to opioid-induced respiratory depression at St. Joseph/Candler. How the powerful opioid fentanyl kills. A video from the CBC explains how opioids work, and how they cause harm. Great for explaining the opioid epidemic to a lay audience. Unused Opioids Pile Up in Medicine Cabinets, While Overprescribing Contributes to National Epidemic. Researchers at Johns Hopkins University School of Medicine, Baltimore, have found that health care providers dispense far more medicine than is necessary to treat pain after pediatric outpatient surgery. Mum who died of blood clots two weeks after giving birth could have been saved, finds coroner. Marie Tompkins died from a blood clot. The coroner says the doctor failed to refer her to a scan that could have detected it. In a recent article, Peter Pronovost, MD, PhD, FCCM (Professor, Departments of Anesthesiology/Critical Care Medicine and Surgery, The Johns Hopkins University School of Medicine and Medical Director, Center for Innovation in Quality Patient; Member of the Physician-Patient Alliance for Health & Safety PCA Safety Panel and OB VTE Recommendations Working Group) asks a great question, “Patient Safety at 15: How Much Have We Grown?”.